Once you figure it out, they're the best workout partners. 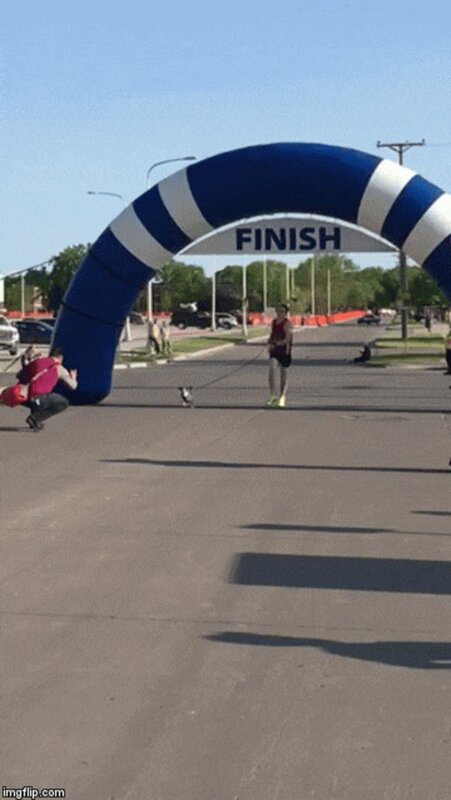 When they found the dog who would eventually become a running champion, she was too sad to move an inch. Someone had just dumped her at the side of the road near Tolna, North Dakota. Derek Johnson's father, who lived in the area, found her there and thought maybe his son would like to adopt her. The dog found a home with Johnson and his wife in Fargo, North Dakota, along with a name - Nikki Newman, after a character from the soap opera, "The Young and the Restless." "Both had troubled pasts that came from the streets and are divas at times," Johnson tells The Dodo. Then the dog who once refused to move suddenly became the dog who only wanted to run. "When she hears me grab her harness and leash, she dances around in a circle and jumps up and down and starts her yelps and whines of excitement," Johnson says. So far, Johnson and Nikki have teamed up for three races - and won them all. They can run a mile in just over five minutes. 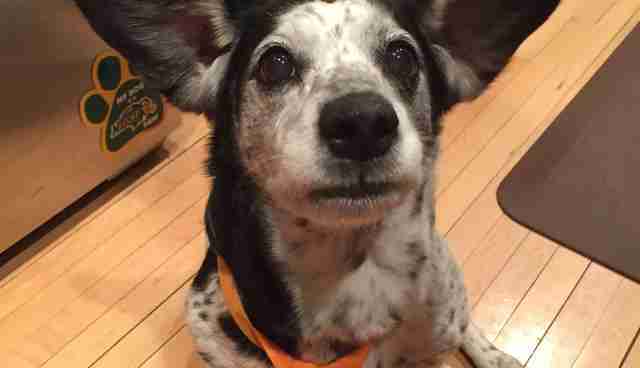 "She may be deceiving with her short legs but she sure can run fast," Johnson says. But Nikki isn't the only dog who found her stride at her owner's side. There's Karma, a dog rescued from a Michigan shelter in 2012 - who quickly learned two words: walk and run. 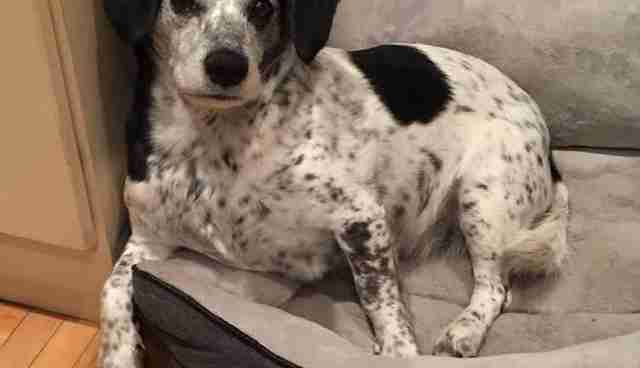 "She's not the smartest dog, but she definitely has those two words down," her owner, Dr. Lindsey McGuire, tells The Dodo. "She prefers run." And what dog doesn't prefer to run at her owner's side, rocketing down sidewalks and trails? No time to smell the flowers, fire hydrants and posteriors of other pooches. 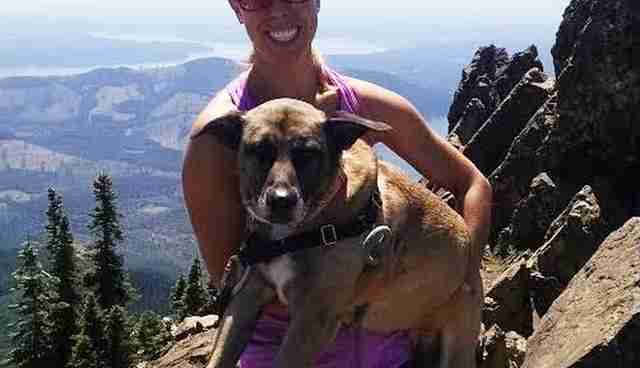 "She gets really excited," says McGuire, a veterinarian at DoveLewis Emergency Animal Hospital in Portland, Oregon. "That gets me motivated." 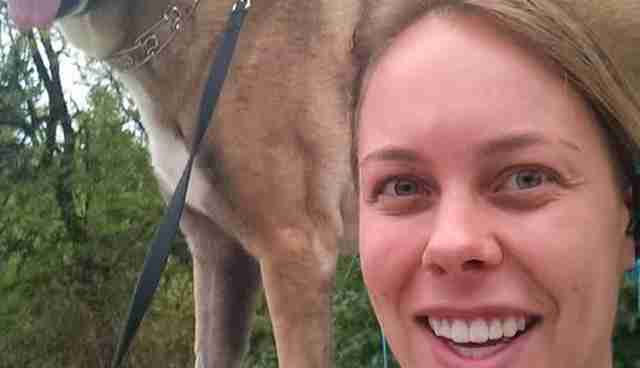 The pair runs about three times a week, the longest stretch being 10 miles when McGuire was training for a half marathon. 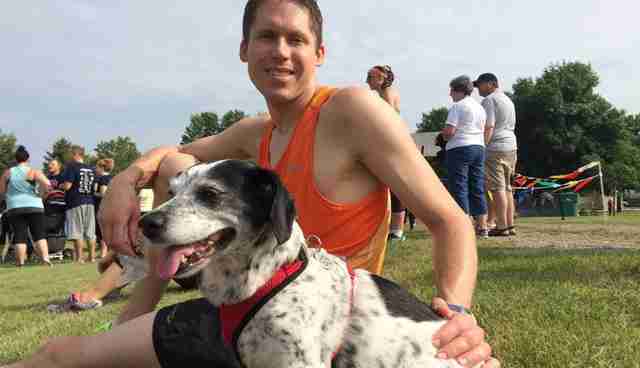 Dr. Kiko Bracker, a veterinarian at the MSPCA Angell Animal Medical Center in Boston - and running partner to his 5-year-old dog Finley - thinks people can get a lot out of running with their dog. "It's great all around," he tells The Dodo. "Because you get to spend time with your dog. We get exercise. He gets exercise. I feel like I'm cheating on him if I go running without him." 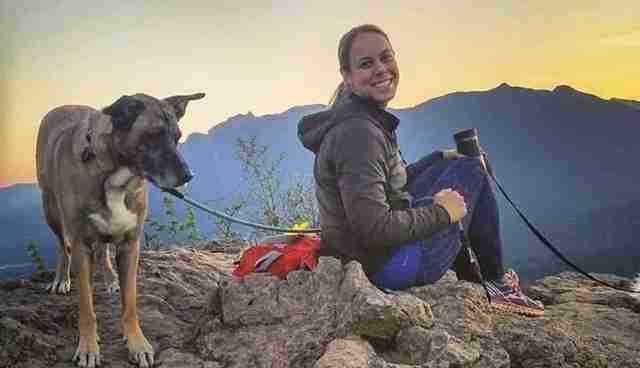 For Jessica Rodriguez, jogging and hiking with her dogs, Chloe and Brody, is much more than just a physical workout. 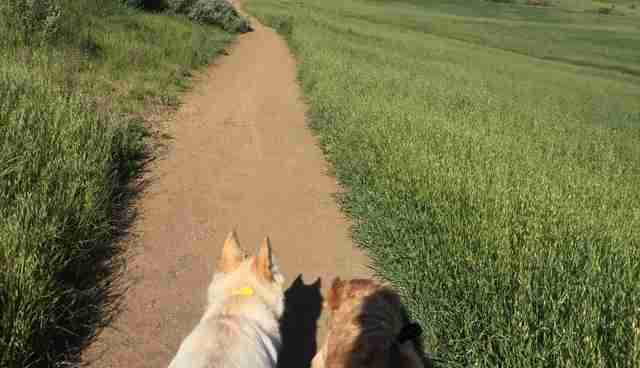 "We explore our neighborhood and trails with friends," she tells The Dodo. "Mostly, it gets us out in nature and away from the overwhelming amount of technology everywhere else. 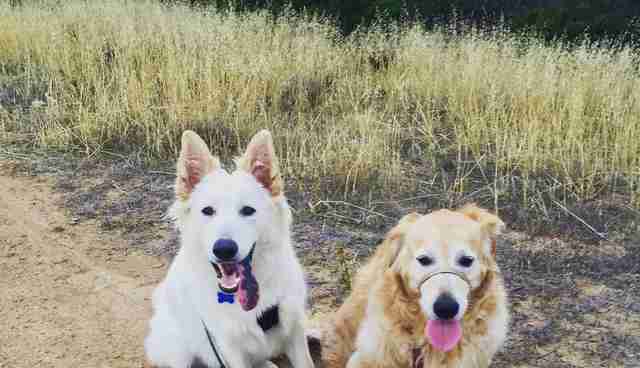 Think you might want to lace 'em up and hit the road - or trail - with your best furry friend? Consider a few key tips first. 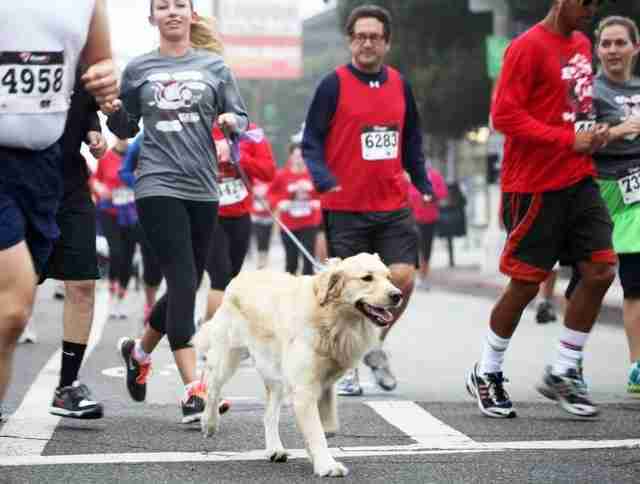 Just like with humans, dogs aren't ready to run a marathon right out of the gate. 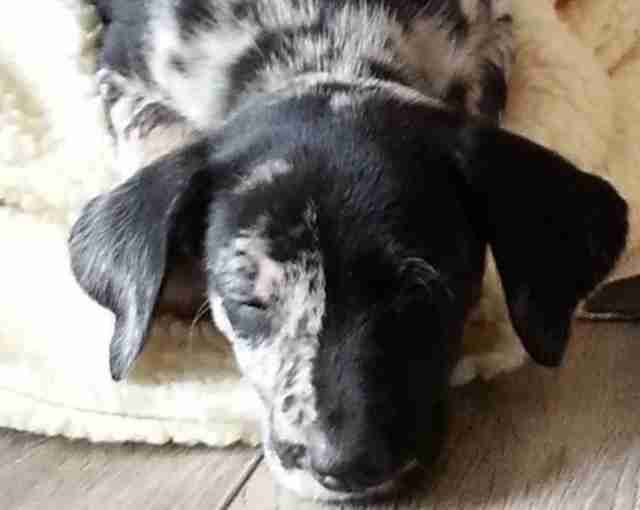 "Even though puppies are full of energy, it certainly can be damaging to their growing bodies to run them far before they're full grown, which is usually between 12 and 18 months of age," McGuire says. Until then, she recommends no more than a half-mile run. Of course, a puppy will never say no to running. But the kind of running puppies do in fields and at dog parks is very different from running running. Streets and sidewalks, as opposed to cushy earth, take a toll on a puppy's still-forming bones and joints. "They're willing and able but it is stressful, especially on pavement," McGuire notes. And even when your dog is old enough to really run, don't go full marathon all at once. "If someone wants to start running with their dog, I would say either start with a half-mile or a mile," McGuire says. "It's just like with a human, if you started running you wouldn't just go out and try to run 10 miles." Bracker and Finley tend to prefer running free and untethered. But cars and pedestrians and other dogs - not to mention local leashing laws - can make suburban spaces off limits. "My dog loves to run off leash so I have to find an area where he can do that safely for him," Bracker says. "Certain forests are OK for that, where you won't find too many people." Just make sure it's a designated off-leash area. Even when you run with a dog on a leash, it's a good idea to get him used to running on one particular side for his own safety. "Darting dogs across your path is only for Olympic hurdles," Rodriguez says. Ultimately, says Derek Johnson, it's all about rhythm. 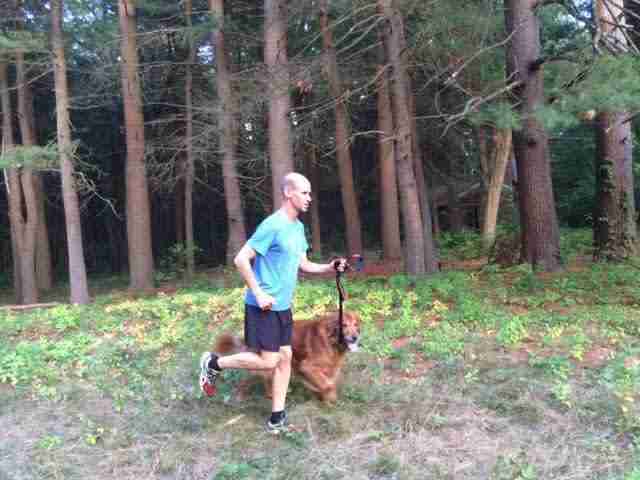 "The main thing is establishing a good rhythm and pace with your dog," he says. "They will learn these things over time as you run more with him or her, which will result in smoother more enjoyable runs with your dog." "Health-wise, heat is the biggest thing to keep in mind," McGuire says. 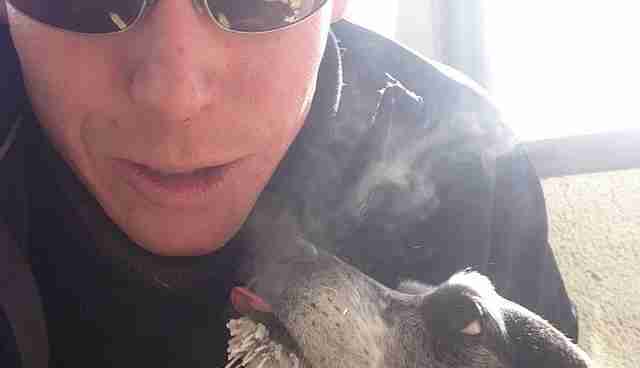 "As a veterinarian, I have seen a dog die of heat stroke after even a short run." Most dogs have telltale signs that the heat is getting to them, although they can often be different for each dog. "For Karma, she starts to get sluggish," McGuire explains. "She doesn't pull. She'll kind of run alongside me instead of pulling ahead. And then her tongue will hang out really far. Those are the signs I know that she needs a break. Or we're done." But all the same, it's essential to keep them well-hydrated. Or even better, plan the run around bodies of water. Of course, bringing water along for the run is essential too. "When it's warmer outside, we always sort of run from pond to stream to pond to stream so he's pretty much wet the whole time," Bracker says. "He likes that and it prevents him from overheating." And on particularly hot days, the pavement itself can be murder on a dog's paws. A quick test see if the pavement is too much for your dog's paws? Put the back of your hand on the pavement, and if you can't keep it there for five seconds, then it's going to hurt your dog. It should go without saying that dogs, like humans, need to be strong and healthy before starting an exercise regimen. For that, it's always a good idea to consult a veterinarian about any existing conditions your dog may have - like arthritis or a heart murmur. The truth is, some dogs are built to run. Others, not so much. McGuire hears people telling themselves otherwise all the time. Every pug owner, it seems, thinks their dog was trained by Usain Bolt. 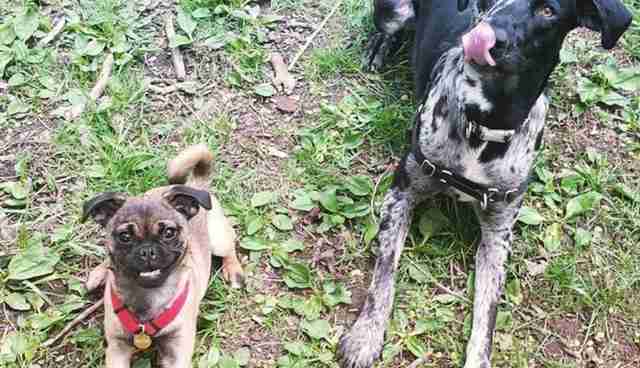 "Someone will come out and say, 'My pug is the best running dog ever,'" she says. "Which is fine, but I think most often, your large-breed dog - Labradors, shepherds, pointers - make more effective running dogs." That's because little dogs have to work those little legs harder to keep up with human strides. But most importantly, squishy-faced dogs like pugs and bulldogs just don't breathe as well as Labradors and shepherds. Keep that in mind during warm weather and give these dogs ample breaks to collect their breath. "Those dogs can't evaporate heat as efficiently and are at a much higher risk of overheating," McGuire says. "It's not that you can't run them; I just think they probably don't enjoy it as much." And, in the end, that's the most important reason to run with you dog. Just two best friends enjoying the breathless exhilaration of pure acceleration.